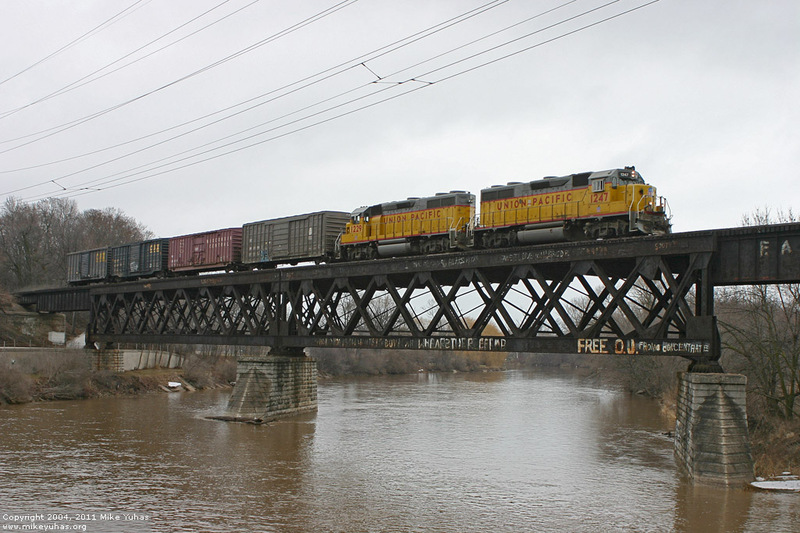 No road trains had operated to or from Sheboygan this morning, but the local crew was switching a surprising amount of business this cloudy Saturday. They've just picked up these four boxcars, and are returning to the yard. I chuckled at the "FREE OJ from concentrate" slogan on the bridge.